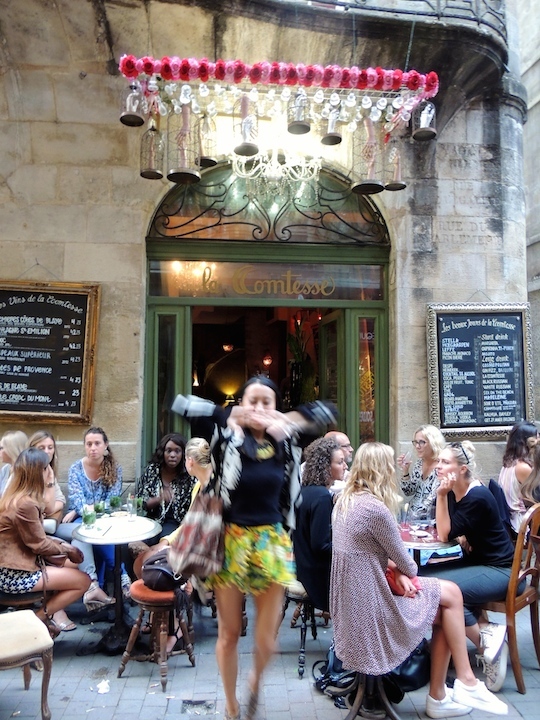 Bordeaux, My Gastronomic Adventure – These Two Eyes! But why Bordeaux? This was the response I received when going over my itinerary for #Eurotrip2015. London was a no brainer and Croatia has been on my bucket list for years. But as more and more people questioned my French destination of choice I was starting to get nervous that I had overlooked something obvious. Was Bordeaux no good? I mean sure, I much prefer Burgundy wines but then again I’m sure Bordeaux won’t be that hard for me to swallow. Is it an oxymoron to say the city is both medieval and young at the same time? It’s active, vibrant and lively contrasted against dark ancient stoned walls, gothic churches and quiet narrow alleyways. Katrina described it as monotone: brown river, cream buildings, grey cobblestones. But it’s 9 pm in the summer and there is no sign of dusk. University students quickly scoot by on skateboards and sit outside smoking cigarettes while drinking espresso at cafes next to tattoo parlours, vintage shops and guitar stores. Rue Sainte-Catherine, one of the largest pedestrian-only shopping streets in all of Europe is its main artery running through its centre. Cheap city bikes can be rented from all corners of the architectural haven and are used by both locals and tourists to navigate the shadowy historic maze. It’s a very liveable place for sure. 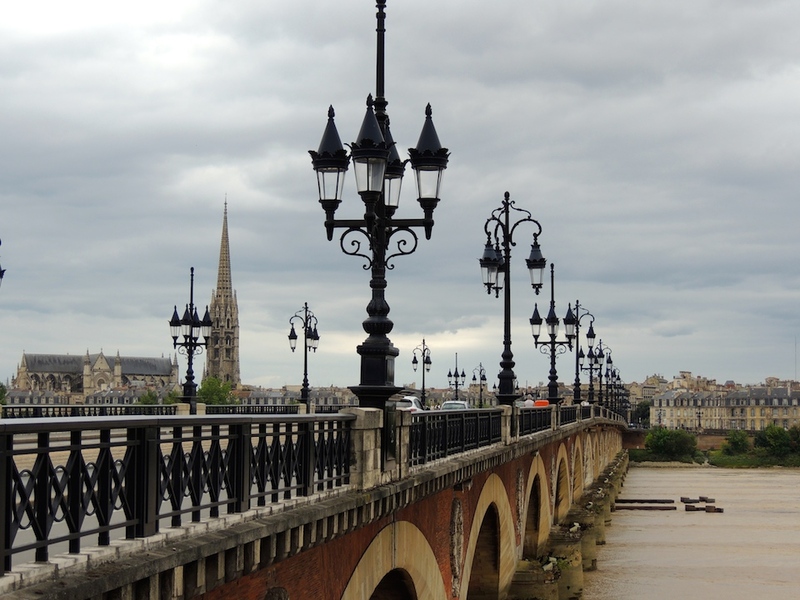 Both a city and a region, Bordeaux provides fresh, delectable food and well-produced wine to every doorstep. On the Garonne River’s left bank sits Medoc, it’s gravel and clay producing deep, full bodied cabernet sauvignons while on it’s right the clay and limestone in St. Emilion produce juicy, fruit-forward merlot. My glass is never empty and then I understand. Bordeaux is my gastronomic adventure. The oysters are so fresh you order them by size – medium, large or extra-large. There is only one option: raw. The seabass comes with its head intact but with the right movement the flesh softly falls from the bone while the salmon carpaccio melts on my tongue. The cheese is aged and my monsieur croquet strong and heavy, the traditional way. The pate is thick and rich and the generous sliced baguettes are endless. There is no Maille mustard to accompany it. That’s only for Paris and we’re in Bordeaux after all. My favourite meals were the chevre salad with honey and walnuts while dining al fresco at Karl and beef tartare with watermelon and roasted tomatoes at the modern French bistro Le Chien De Pavlov. The only way to truly experience it was to aimlessly wonder and get lost amongst the streets, stopping every few hours to try a new delicacy and to sip a new wine while watching the locals carry on with their lives. The second day we rented bikes, which gave us the same freedom to explore but allowed us to delve deeper into the city streets, to the botanical gardens, and over the bridge to the city outskirts. 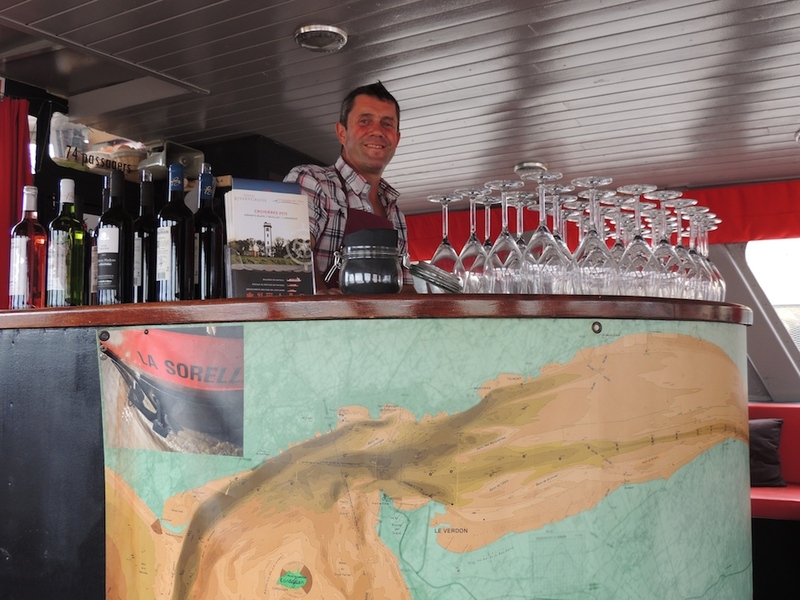 Isabel from Bordeaux Tourism was friendly and helpful and booked us on a wine river cruise later that evening. It was like a disorganized frat party for old people – chaos to consume as much wine as possible while Jerome the wine maker from Chateau Madran rambled on in French and we sat observing with our crusty bread and orange cheese just taking it all in, not understanding a word. And then there was the highlight, Rustic Vines and the Famous Monk Tour the following day. Run by two Kiwi’s, Scottie the hottie educated us on the 60 appellations of Bordeaux, the rigid rules on how to blend the wine and the 10,000 plus chateaus in the region. We visited the picturesque medieval town of St. Emilion, mingled with Hugo in the cellar of Chateau La Gaffeliere to learn about French oak and sampled Grand Cru Classe from Aussie Gregg at Bordeaux Classique wine store. Richard, the only Australian chateau owner in Bordeaux confirmed that the French don’t believe in ghosts so he wasn’t concerned for his 15th century property Chateau Melliac. In his garden we picnicked on melon, jamon, cheese and macaroons. Richard told us he used think that Australian wine was everything until the French showed him their art and he had never looked back. I now feel way more confident knowing what to look for when choosing French wine. I almost could have had one more day. Eating my croissant while waiting for my flight to London I realised then that Bordeaux was it, the grown up Europe I had been envisioning. 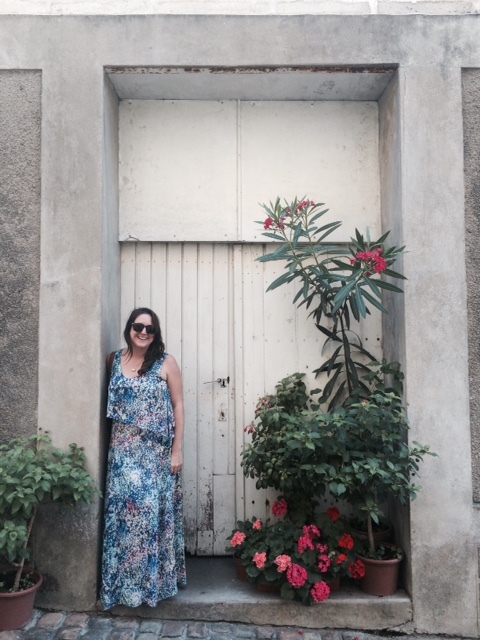 Bordeaux left me with a smile. It’s safe, I felt confident, people were friendly, there was no crime or begging plus it is a foodie paradise. I would recommend to anyone to have a visit.